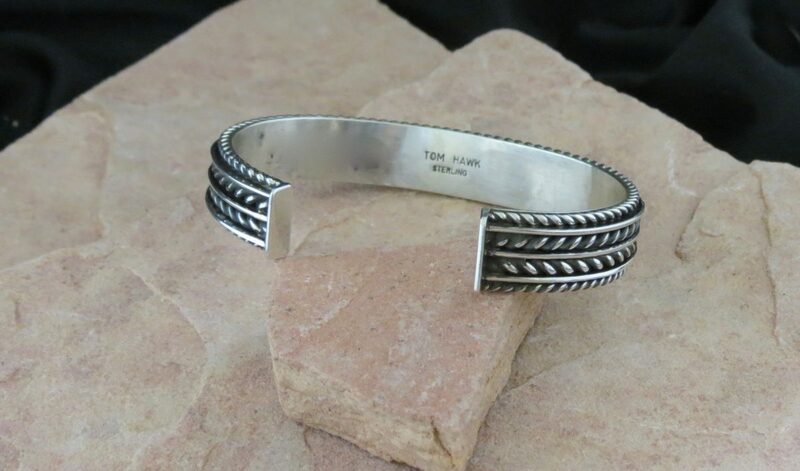 A rare opportunity to acquire an original signed piece by acclaimed Navajo artist TOM HAWK. The bracelet is entirely handmade of solid sterling silver . 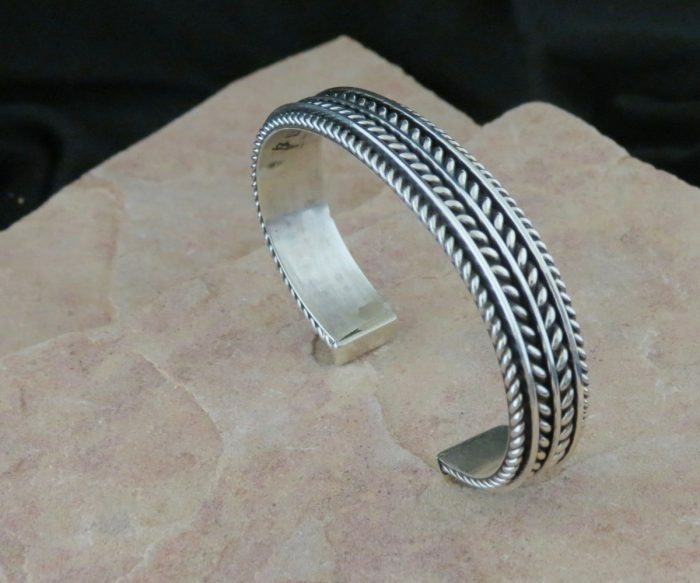 This bracelet is approximately 1/2″ wide, it has approximately 6 1/4″ inside measurement with a 1 1/4″ opening . 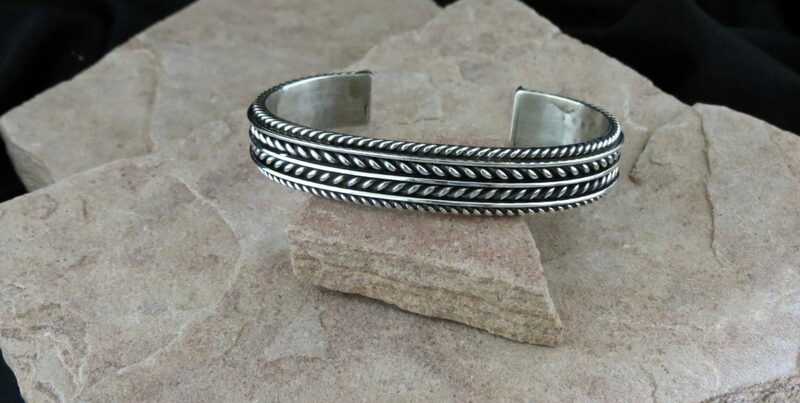 The bracelet is lined with a solid silver sheet thus smooth and creating an extremely comfortable fit. 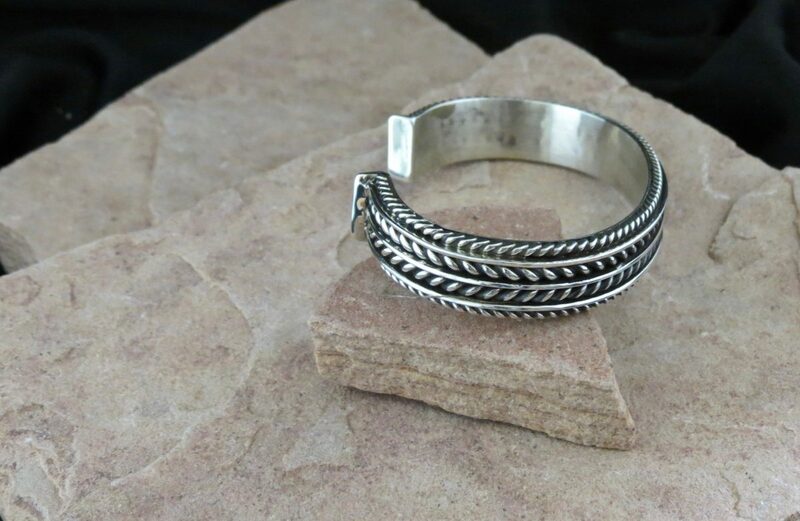 Tom has used twisted silver wire separated by stripes of silver sheet to create a very unique look. GREAT for a large wrist.This piece will complement most every collection. 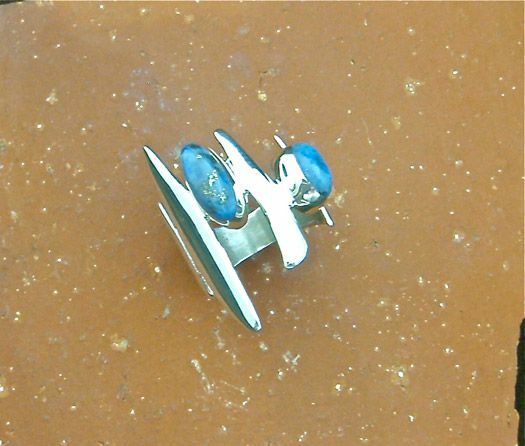 Share the post "BIL 172 AUTHENTIC NATIVE AMERICAN HANDMADE TOM HAWK ORIGINAL"